Join us in the park to celebrate Canada's birthday with a full slate of exciting programming and free live performances. Niagara Parks is set to once again mark Canada’s birthday with a full lineup of events over the July 1st long weekend! Celebrate all long weekend at Niagara Parks and enjoy free live concert performances by Basia Bulat and The Darcys; the launch of the 2018 Night Lights and Namaste Niagara programs. Plus our signature Tastes of Canada BBQ and of course stunning Falls Fireworks shows each night at 10pm, including an extended show on July 1st! Nightly Falls Fireworks shows take place all weekend at 10pm, with a special extended show on July 1st! Queen Victoria Park is the best place to experience Falls Fireworks, offering spectacular views from all angles. 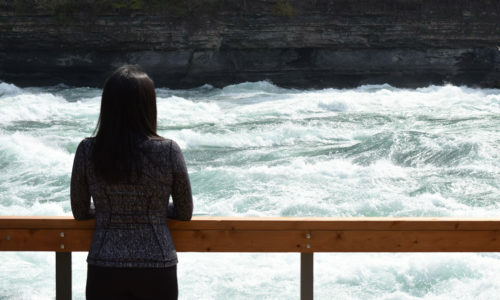 Take it all in from our Grand View Marketplace featuring newly renovated dining areas, where you’ll enjoy a panoramic view of the illuminated Horseshoe Falls and American Falls, or get up close and watch from the platform of Journey Behind the Falls just steps away from the base of the falls. 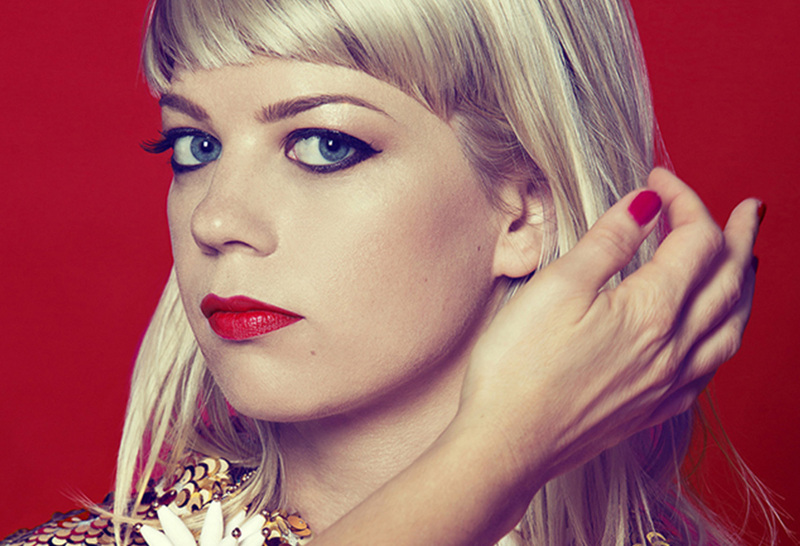 With an electrifying voice and lyrics like silver arrowheads, Basia Bulat has become one of Canada’s most conspicuous talents. Juno nominated and shortlisted for the prestigious Polaris Music Prize, she often appears solo in gigantic halls, winning over crowds with an autoharp or charango, stomping feet and two mighty lungs. Her massive talent has also been recognized at scale: her songs have been adapted for major performances with symphony orchestras, and she’s been tapped for prestigious tributes to Leonard Cohen and The Band. Since releasing her debut in 2007, she has shared a stage with artists including Arcade Fire, The National, Nick Cave and the Bad Seeds, Daniel Lanois, St Vincent, Sufjan Stevens, Destroyer and Andrew Bird. 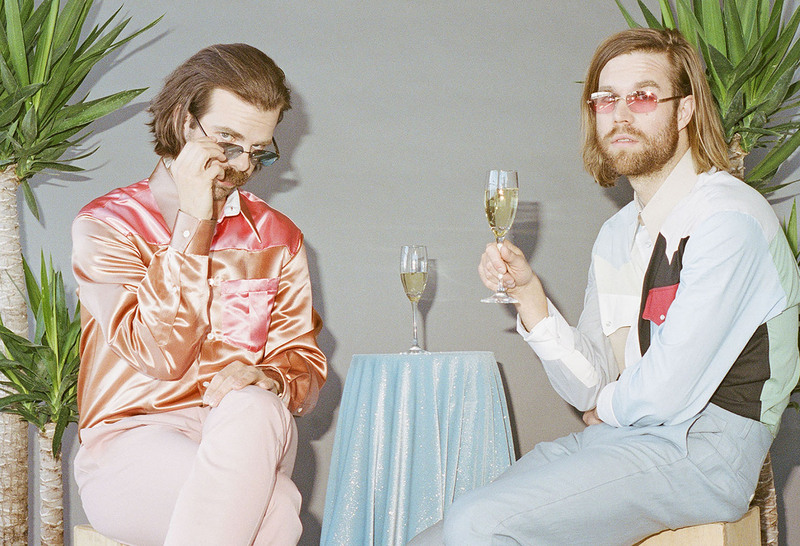 The Darcys are an alternative pop duo from Toronto, Canada that combine the anthemic songwriting of The Killers and Arctic Monkeys with the dance-floor-ready fun of Chromeo and Justice. Always the life of the party, The Darcys’ music is lush with vibrant synths, 808s and funk bass that makes their sound feel as at home in today’s modern pop landscape as it would in a crate of classic vinyl. The Darcys last studio record, Centerfold, a California postcard rich with themes of escape was both a commercial and artistic breakthrough for the band. 2018 sees another evolution for The Darcys as they turn their gaze inward, writing songs with a maturity and social awareness not heard on previous releases. This isn’t to say the party is over, if anything it’s just begun. After debuting last summer, our Night Lights program returns for 2018 running nightly beginning from June 29th. This special event focuses on the interplay between light and our Niagara Parks Canadian Signature Experience, Journey Behind the Falls. Enjoy exclusive access to this natural wonder at the base of the Horseshoe Falls at night, underneath the stars, the glow of visitor giveaways, the radiance of the new falls illumination, and of course the thrill of falls fireworks. Admission price is $24.95 to Journey Behind the Falls, entrance for the Night Lights experience begins at 9:30pm. 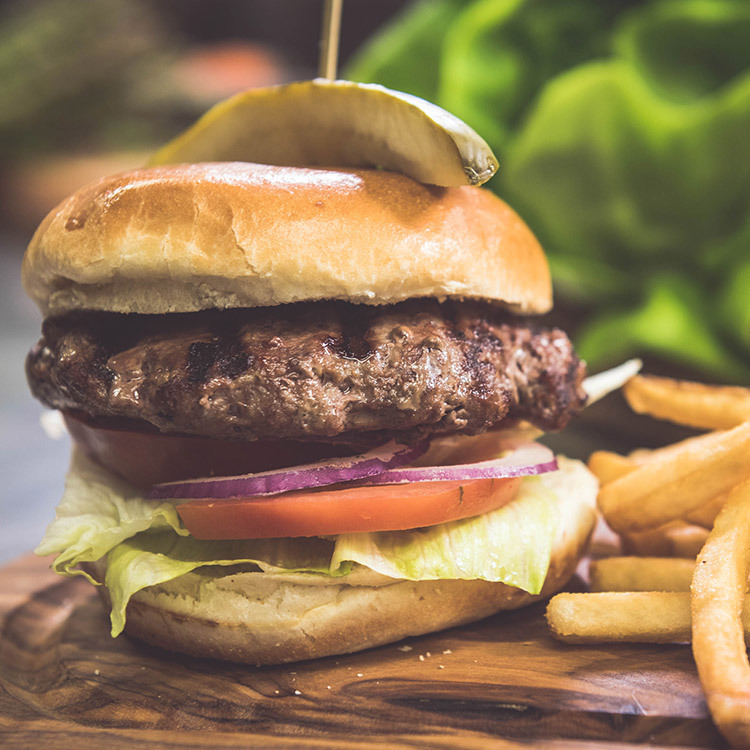 Niagara Parks Culinary presents a specially curated Savoury Tastes of Canada BBQ menu on the front lawn of Queen Victoria Place on July 1 from 4pm to 10pm. 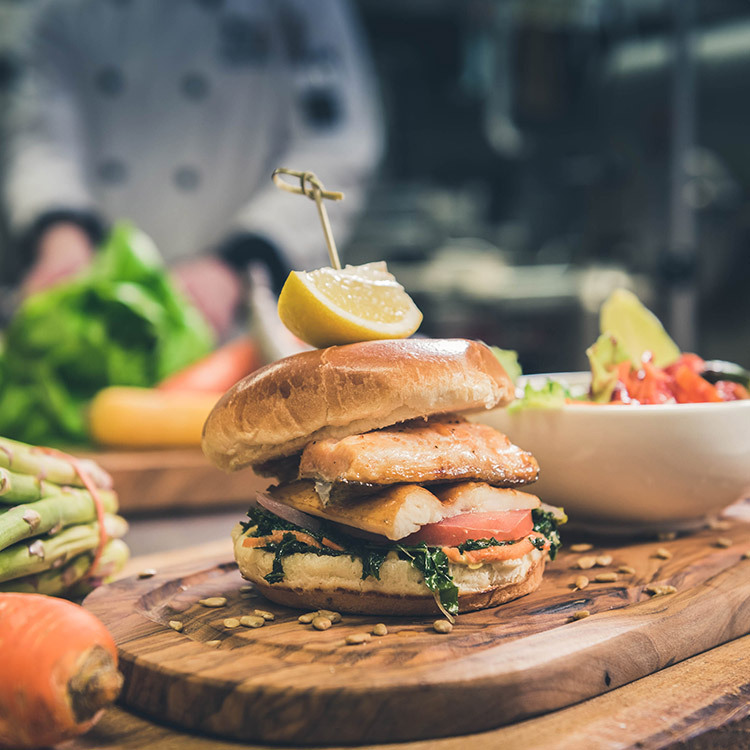 Enjoy seasonal dishes made with ingredients from local growers and producers, VQA wines and a selection of local craft beers and ciders. This is an outdoor, licensed event. The 2018 Namaste Niagara program begins at White Water Walk on Canada Day! Join us for an unrivaled experience that marries the mindfulness of meditation with the breathtaking power of the Niagara River. 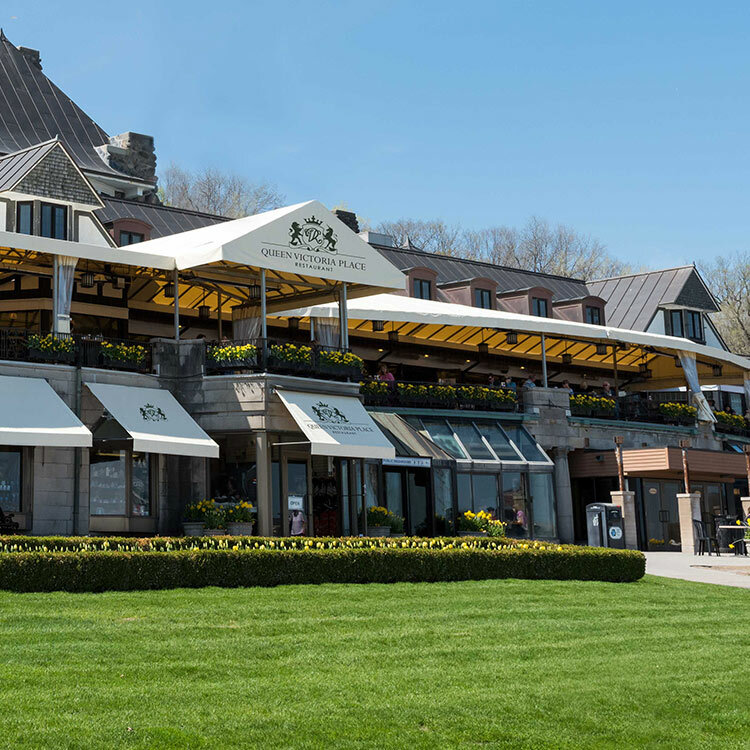 Following your session, enjoy breakfast inside Whirlpool Restaurant, our Feast On certified restaurant that overlooks the tree-lined Niagara Parkway. 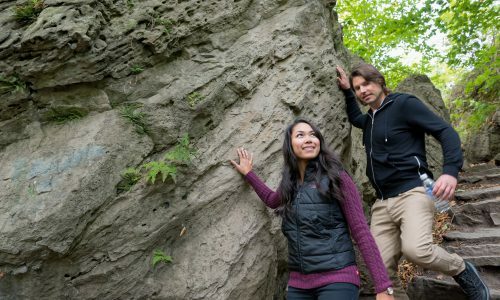 Visit our newly renovated Niagara Glen Nature Centre to book your guided hiking tour of the Niagara Glen and learn about the geology, plant and animal life that call this area home. Daily tours leave at 11am and 2pm July through August! Getting to the brink of the falls from Toronto just got a whole lot easier. The GO Niagara Seasonal Train service runs weekends throughout the summer months and includes a round-trip GO Train ticket and two-day access to WEGO. Plus, save over 40% off the Niagara Falls Adventure Pass when you add it to your trip! A round trip from Union Station to Niagara Falls is just $30 for adults and $16.02 for children (6-12). Buy a family/group ticket for just $60, good for 2 adults and 3 children or 1 adult and 4 children.